Sarah lives in this 500 square foot apartment in San Francisco. 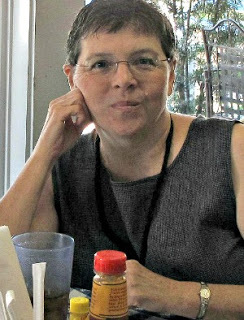 She has collections of found objects all over her small home culled from local flea markets. 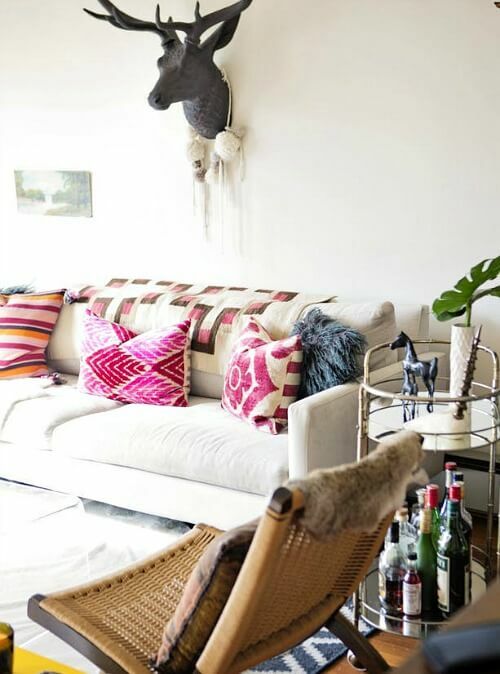 Sarah’s home is eclectic with punches of color and texture. 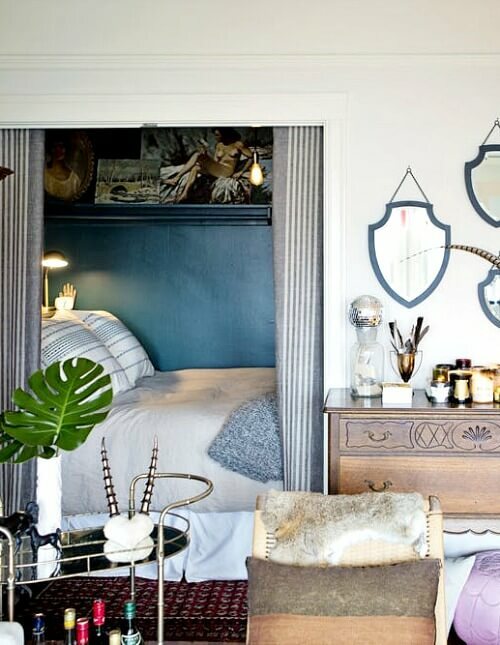 She decorates with animal pelts, feathers, candle collections, crystals, books and art. She keeps a candle lit and music playing, along with snacks and fun conversations for her guests. She says she loves the cozy intimacy of her apartment. To her it feels spacious with all the natural light from her windows. 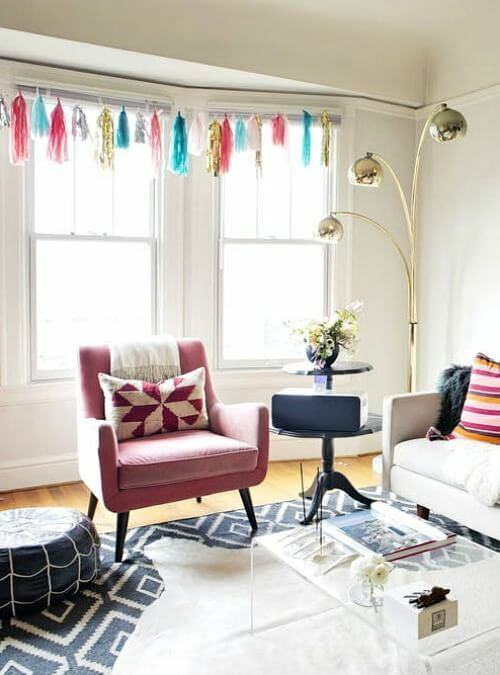 Her apartment is both whimsical and feminine. 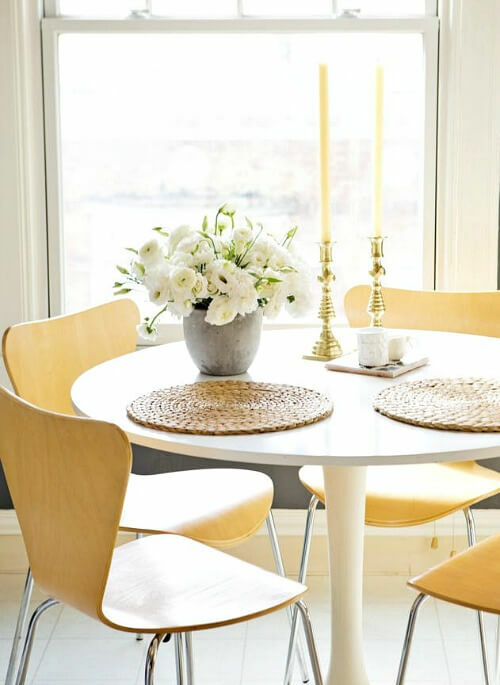 Her dining space looks so welcoming bathed in natural light. 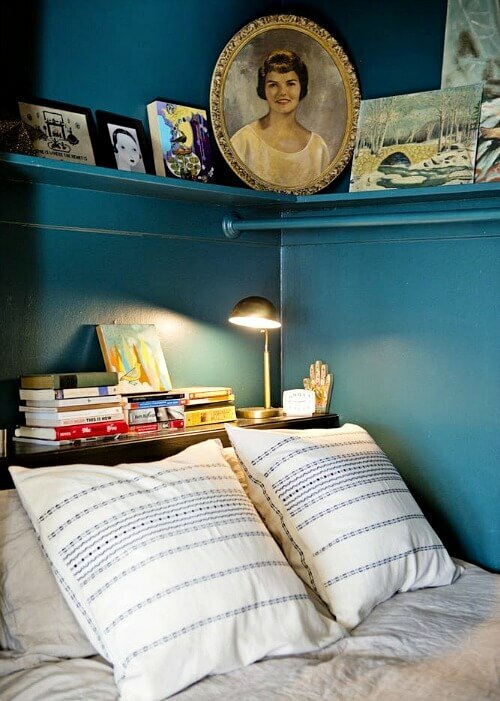 Sarah’s favorite part of her home is her bed nook, which appears to be a closet. She says her nook is a bubble of peace and happiness. It is cozy in its small quarters. 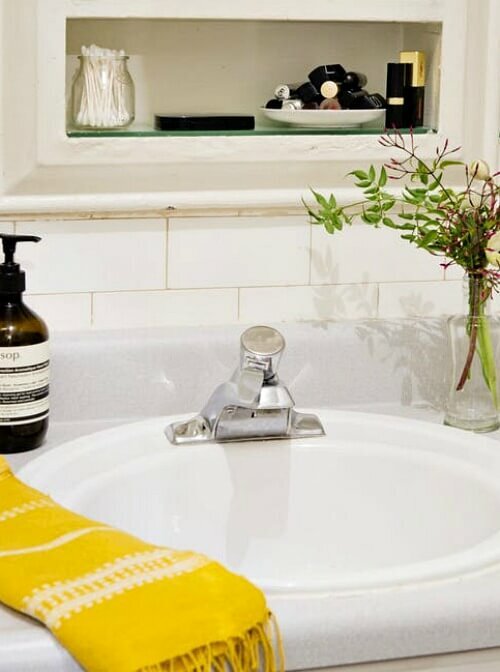 Sarah’s proudest DIY are the handmade ceramics displayed throughout her apartment. Her biggest indulgence is her candle collections. Her favorite candle line is by a 400 year old company called Cire Trudon. She finds their candles nostalgic and relaxing. 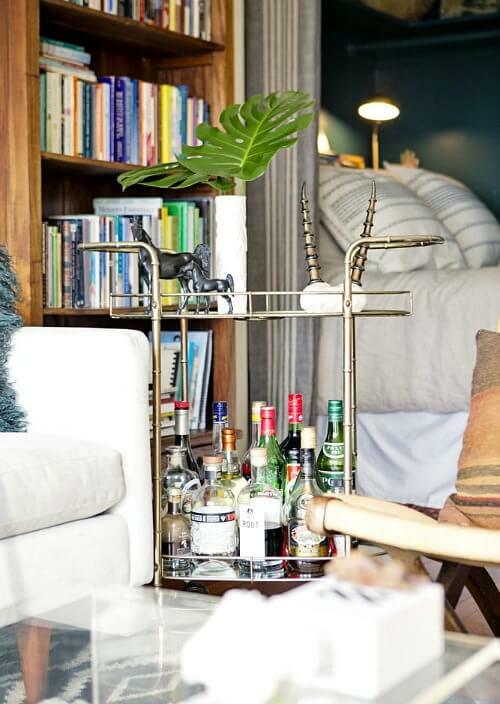 Sarah loves being surrounded with beautiful things and tries to keep her home clutter-free. I hope you enjoyed this small apartment tour. Please remove the above anonymous comment. Your blog is too good for such drivel. Freedom of speech is one thing, but this is totally inappropriate for such a place as this! Wow, what an ugly comment! I’m very surprised it got through. I’ve been busy and just now got over here. It’s deleted. Sorry about that! I just now really tightened the comment rules for this blog so that spam is minimized or kept out altogether. Might be too tight. We’ll see. I love Sarah’s cute little apartment. You know Brenda I love this series you do on living small. I love her pops of color and the light coming through her whole apartment. I agree when you have light filtering in it makes smaller places feel big. Happy New Week.